I feel pretty good about the biscuits I bake. They usually come out fluffy and moist and are only made better with a pat of butter. 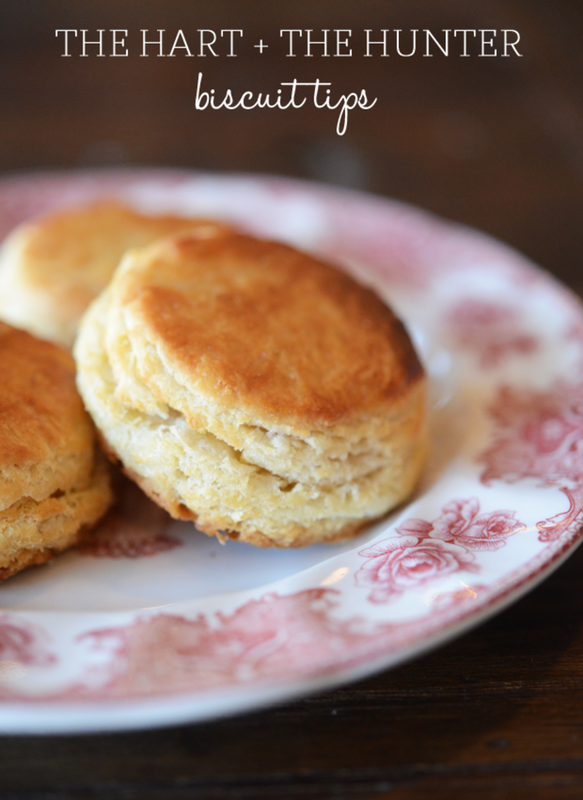 But when I went to The Hart & the Hunter (first mentioned here), a Los Angeles-based restaurant located inside the Palihouse Hotel, my standards of a great biscuit shifted drastically. 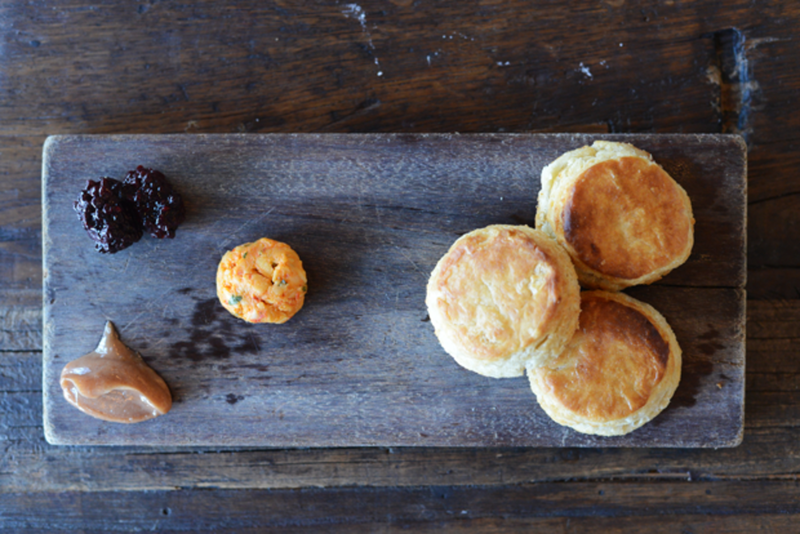 They&apos;re unlike anything I&apos;ve ever had (and I&apos;ve eaten my fair share of biscuits): they&apos;re deceptively light and flaky and are served on a wooden board with pimento cheese, honey butter and fresh berry preserves. Quite simply, they&apos;re perfect. 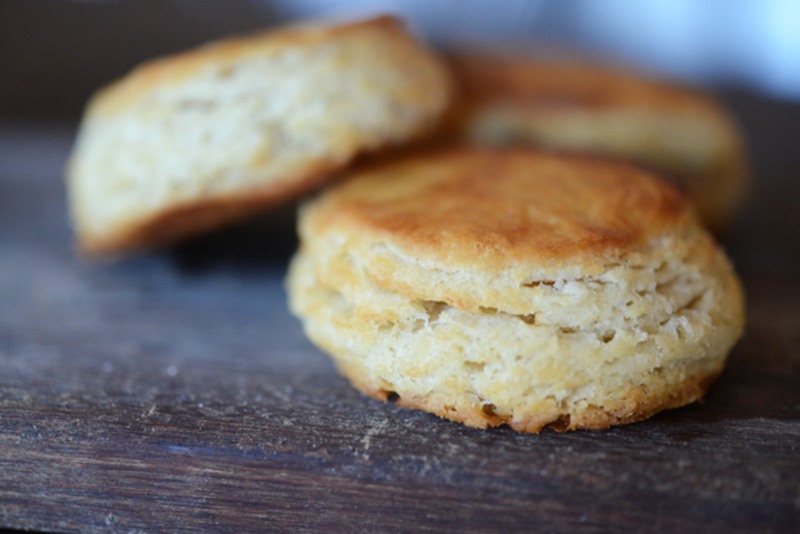 And while The Hart & the Hunter&apos;s biscuit recipe is a well-guarded secret, I asked their Chef Patrick Costa for his top biscuit making tips that could help me get as close to recreating them as possible. 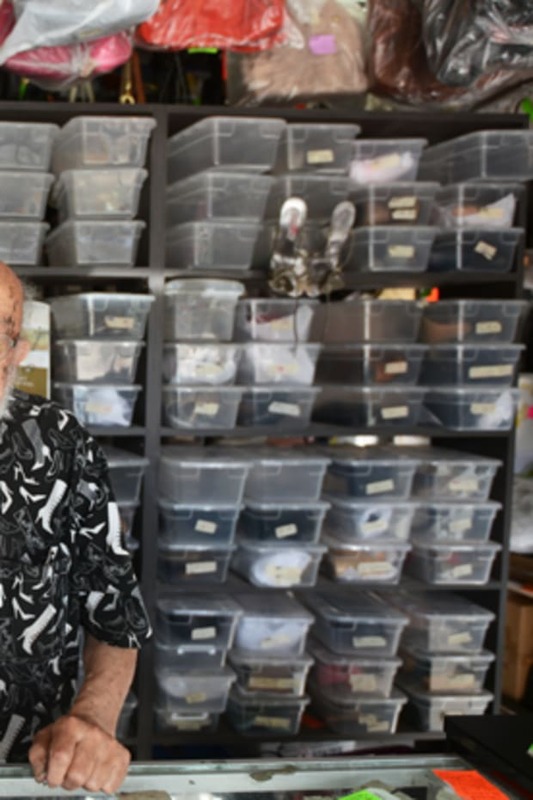 Read on for his eight tips. 1. Freeze your butter. Start with frozen butter. Not cold, but frozen. Grate your butter with a box grater - your flakes will come from these frozen chunks of butter. 2. 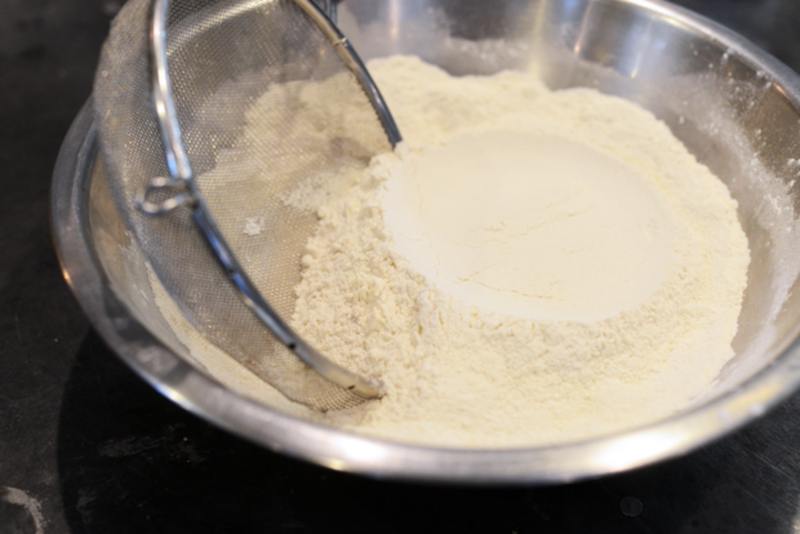 Use a sift to mix your dry ingredients. 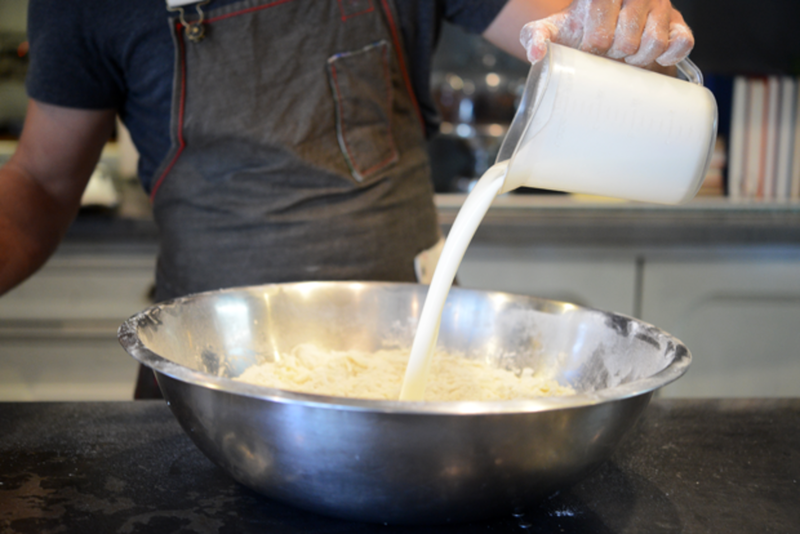 Sift together all your dry ingredients instead of simply mixing. This will smooth out your lumps and you&apos;ll have a much more consistent bake. Some people will also freeze their dry ingredients to keep the dough as cold as possible. 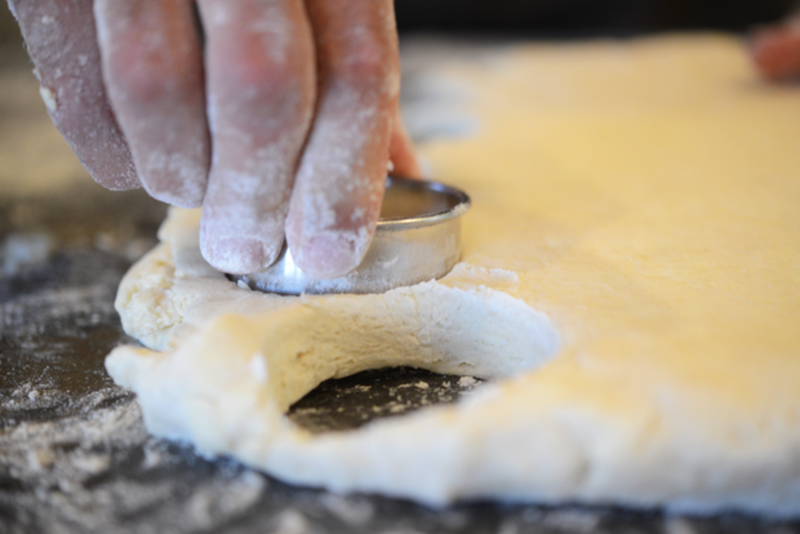 Again, cold dough is what makes a flaky biscuit. 3. Never use your hands. When you mix your butter and dry ingredients together, never use your hands. Use a metal spoon instead. 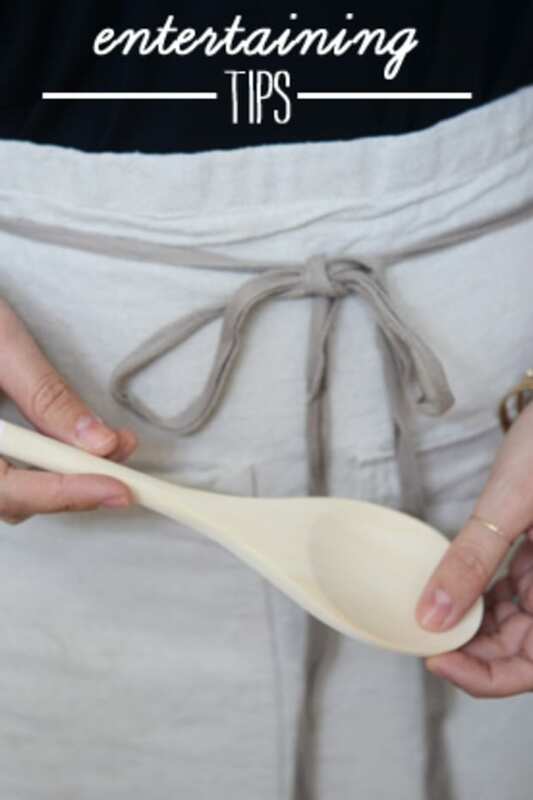 The temperature of your hand will melt the butter, while a spoon will keep ingredients cold. 4. Use the well technique for combining dry and wet ingredients. 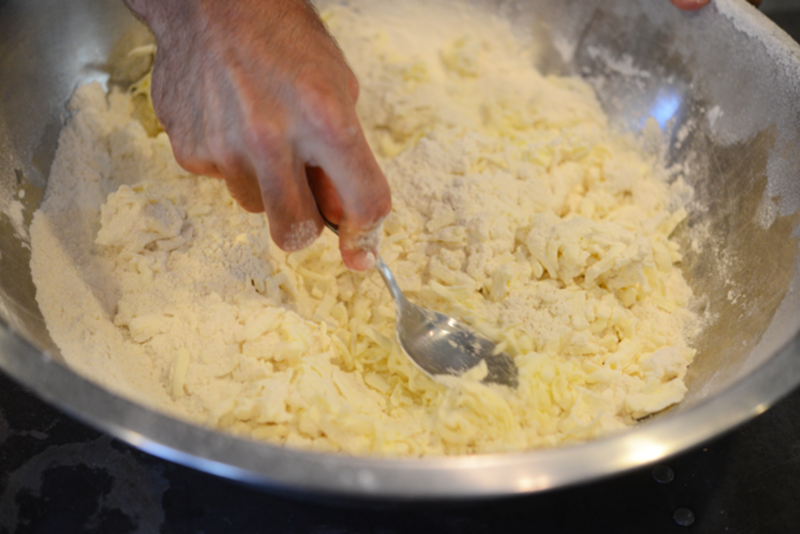 When mixing wet ingredients into the butter and dough mixture use a well technique, much like pasta. Depending on the weather, use more or less flour. For humid days use more flour and cut back a bit on dry, hot days. 5. Only work on cold surfaces like wood or metal. Avoid touching the dough and use a pin to roll it out. 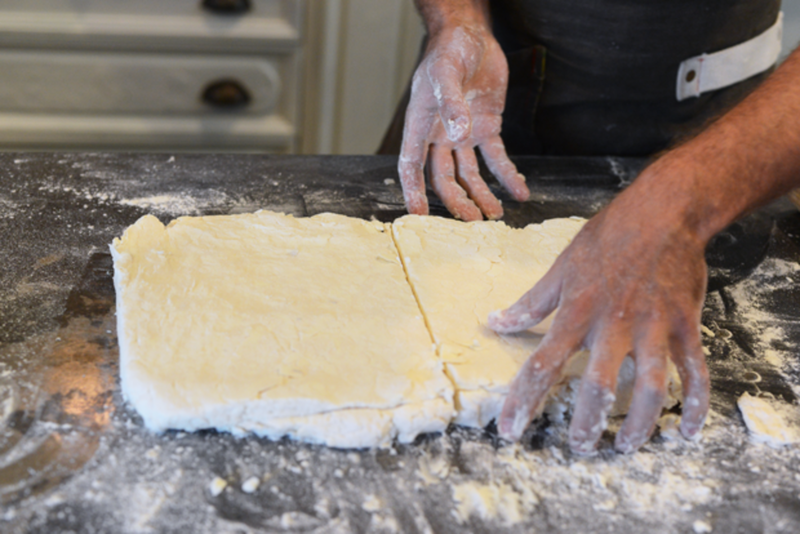 Before rolling, shake any excess flour off the dough. 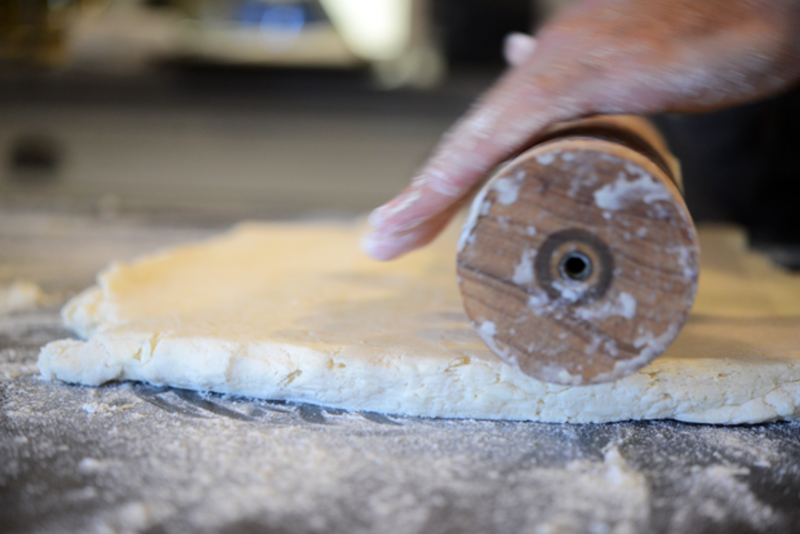 The dough is a living thing and it&apos;ll take as much flour as it wants, so feed the dough only what it needs. 6. 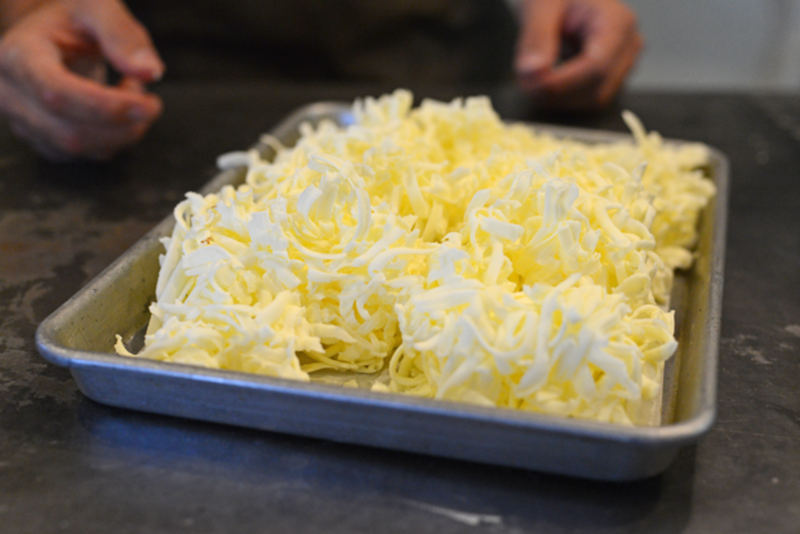 Cut and stack the dough. This is where you&apos;ll exponentially increase the number of layers in your biscuit. Cut, stack, roll, and re-stack three times. 7. 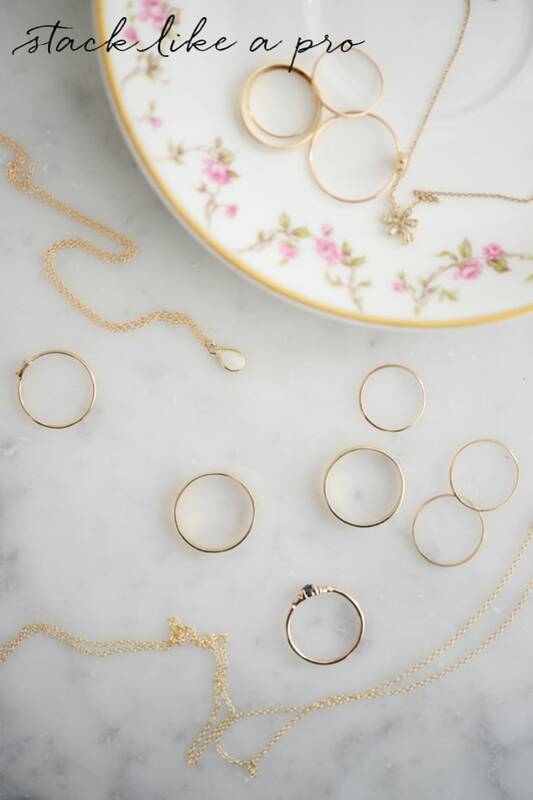 Do not twist the ring mold. Flour a ring mold and push it through the dough. DO NOT TWIST. Pull the biscuit straight out. 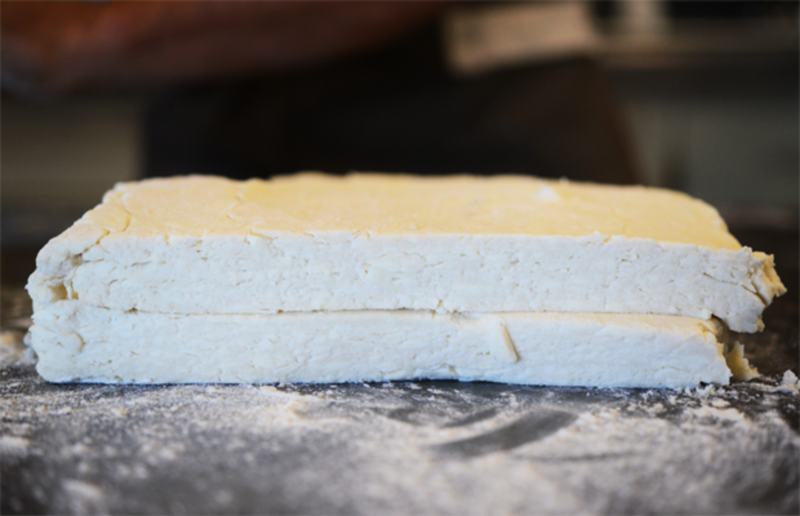 If you twist, the layers will slant and the biscuit will not cook evenly. 8. Do not use the leftover dough. 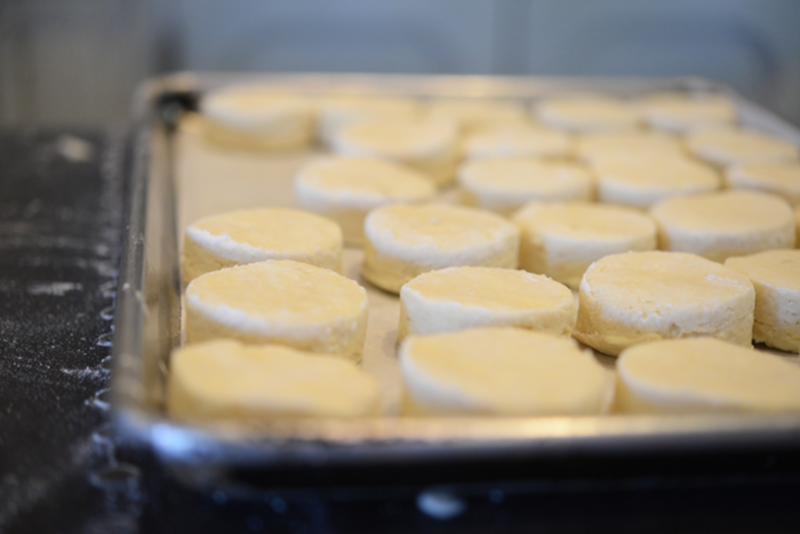 Re-folding the leftover dough means dense biscuits that will cook differently than your first batch. You can use the leftovers for strawberry shortcake, bread crumbs, or savory bread pudding. 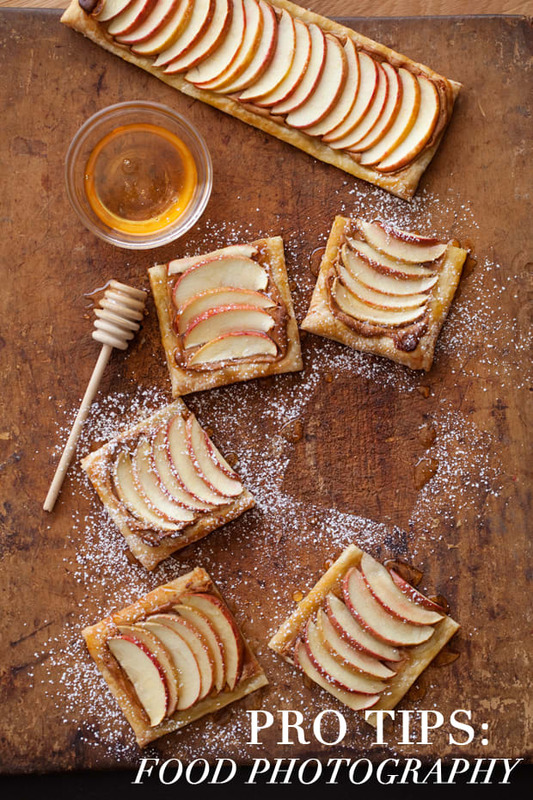 Also, tips for making the perfect pie.